Firstly what is destination branding? We’ve talked about what branding and visual/verbal identity is. In very simple terms branding and identity it is all the visual and verbal elements that go together to create the picture of you, a picture that you want the outside world to see. Ideally this picture differentiates you from your competition, whilst bringing you closer to your audience. all the visual and verbal elements that go together to create the picture of you, a picture that you want the outside world to see. Ideally this picture differentiates you from your competition, whilst bringing you closer to your audience. Destination branding isn’t much different. Instead of products or services and the perception of these, It’s about experiences. Powerful destination brands do this memorably and with elegance. They capture the essence of the place, ensuring it is both desirable and relevant to a defined audience. Building a strong destination brand when the world can turn on it’s head in a matter of days, has become an increasingly difficult challenge. With the growth of social media (and the current trend of negativity) any branding needs to be both honest, universal and consistent. Otherwise, your delivery will soon become just ‘wallpaper’. With this in mind, strategy is probably the most important aspect of any project of this kind. This rings true as much for a museum to branding a region or country. Part of this will be to identify your ‘story’, what the ‘core personality’ of your destination is (for a country or region this only changes over time, but for a museum, art gallery or other local landmark, this can change almost immediately). 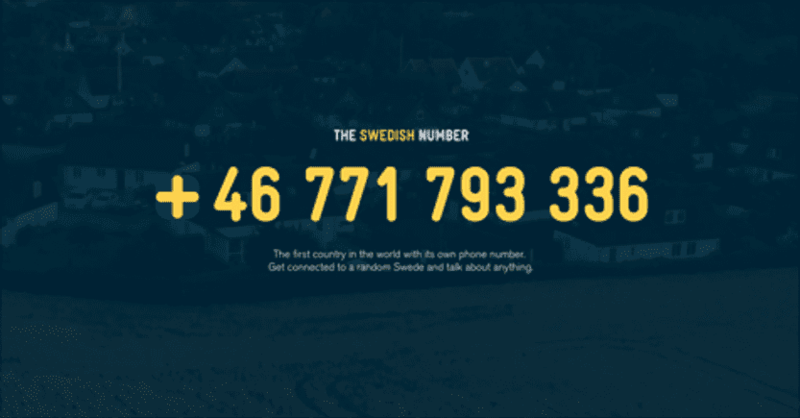 Talk to a random Swede to get a true idea of Sweden, destination branding taken to the next level. Another part of this story is to understand what are the true positive and negative aspects of your destination. Ultimately the biggest need is for honesty in the search of what truly differentiates your destination from others. The strategy should encompass all aspects of delivery (focusing on what you have defined as being your destinations USPs) through the entire customer journey and ensure that all stakeholders are on board; from the head honcho to the first people you meet as you enter to the people that clean up after. Every aspect of the journey will build up a picture to the outside world and ideally it is the picture you have anticipated and envisaged. Basically when your destination is your brand, every detail needs to be on point and that includes the people delivering it. Because if the people delivering your brand don’t believe it, then your visitors won’t either. If the people delivering your brand don’t believe it, then your visitors won’t either. With a defined strategy it ensures that everyone pulls in the same direction. This in turn will ensure that the ‘branding’ is given the best possible environment to flourish. In terms of the branding itself it needs to work across all media. Have an immediacy that ensures recognition after a short amount of time, but above all be true to the destination. Our specialty here at Puur is branding development (not just for destinations). Our decades of experience from both sides of the design ‘fence’ gives us a better understanding of the needs of organisations today. We know that our work is a business tool, it has a function, answers a need. Give us a call today to chat over your needs and how we can help. Puur is a small but perfectly formed Colchester graphic design agency. We specialise in all things branding – visual and verbal identity creation, development and implementation. We are passionate about what we do and the design industry. Sometimes our thoughts are contentious, we have a strong opinion!